Holi is one of the major festivals celebrated in India. 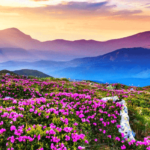 It is popularly known as the Festival of Colours. It is observed in the Spring season, in the month of March. It marks the end of Winters & start of the Spring & eventually, Summers. 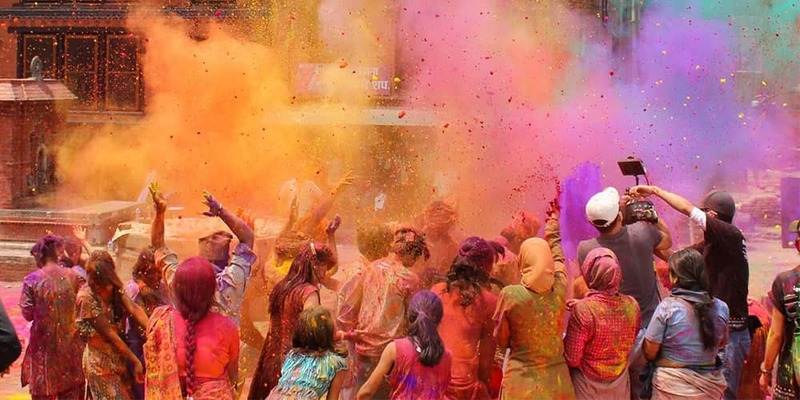 Predominantly being celebrated in India, Holi is becoming popular throughout Asia & some Western communities too. It is one night & one-day festival which starts from the full moon in the Phalgun month according to the Hindu Calendar. The evening is known as the Holika Dahan & next day is celebrated by playing with colors, Gulal & meeting relatives & friends. 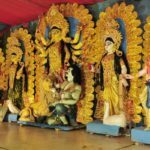 Here is your complete guide which will cast a light on the history & significance of the festival. Like Dussehra, Holi is also observed as the victory of good over evil. However, the tales behind both festivals are different. For Holi, it is believed that Hiranyakashyap, the demon king had a son named Prahalad. Prahlad was a strong devotee of Lord Vishnu. He didn’t obey the orders of Hiranyakashyap, his father to consider him superior to Lord Vishnu & worship him as the god. So, Hiranyakashyap thought of killing his own son. He tried many times but Lord Vishnu saved Prahalad every time. One day he summoned his sister, Holika who was blessed that when she wears a special cloak, she will be unharmed from the fire. Holika was ordered to sit with Prahalad in her lap in the fire but, with God’s grace, the cloak covered Prahalad instead of Holika. 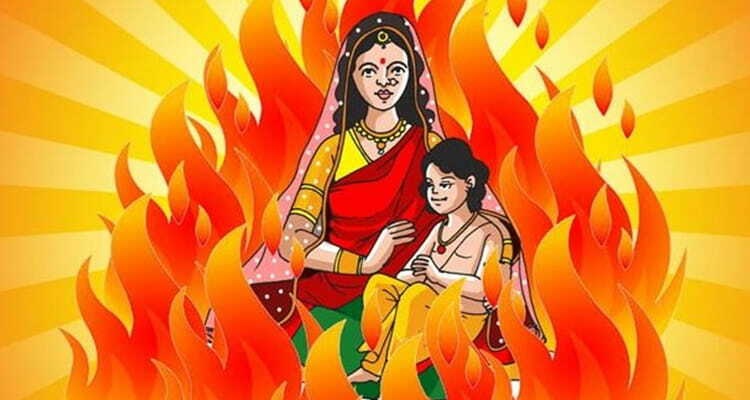 Holika was burnt then & there, but Prahalad was saved as he was taken care of by Lord Vishnu. Then Hiranyakashipu was killed by Lord Vishnu’s incarnation known as Narasimha. This incarnation was half human & half beast. Hence, Holi is celebrated as the defeat of Hiranyakashyap, Holika & the victory of Lord Vishnu & Prahalad. Holika Dahan is performed on streets & crossings as a bonfire. It is observed as the fire which didn’t harm Prahalad, God’s devotee & devoured Holika, the symbol of evil. On the first eve of the festival, bonfires are lit as a symbol of the fire in which Holika sat with Prahalad on her lap. People celebrate Holi with much enthusiasm & smear powdered colors on each other. Many delicious savories are made & people visit each other’s homes to share the joy of the festival. The next day is known as the Dhulandi. People & children play with watercolors, water balloons & water guns. They play games & enjoy each other’s company for the full day. People drink Thandai, which is a sweet drink made from milk & some special spices. They also devour Bhang, which is Indian Cannabis. However, while taking Bhang, it is advised to consult specialists if you have any serious health problems. Children & women should stay away from it. Gujias, Kanji Vada & many other different varieties of sweets & savories are prepared by people to welcome the guests. All over India, Holi is celebrated with much joy & pleasure. However, there are some special places where you will get a peek of diverse traditions while celebrating the festival. Here we are listing some of those places. Mathura – Vrindavan is the birthplace of Lord Krishna & where he spent his childhood. Hence, Holi is celebrated with full traditional culture & enthusiasm here. 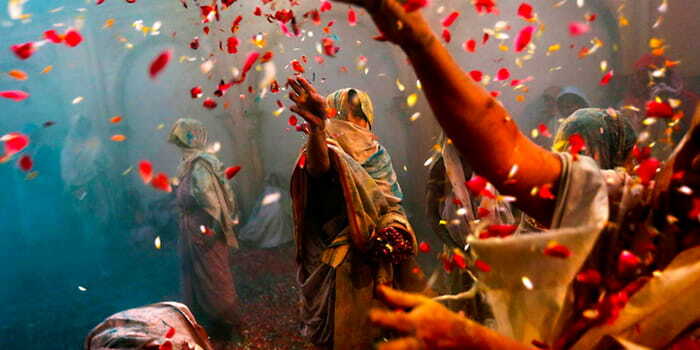 People play Holi with flowers, known as the “Phoolon Wali Holi” which is followed by the traditional celebration with colors. Dwarkadheesh Temple is the best place to experience the festivity. 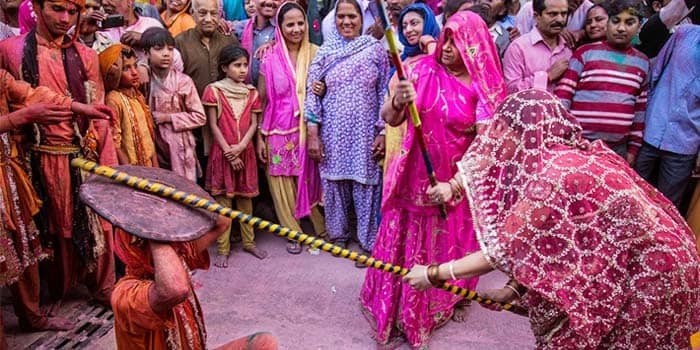 At Barsana, people celebrate Holi in a very unique way. Especially, women are in charge of the day. Men from nearby villages come to chase local women. Then the women, in a state of denial, use sticks to beat the men. Men can defend themselves with shields. However, all of this tradition is carried out playfully & is a jest. This tradition is known as “Lathmar Holi”. Legend says that Goddess Radha & her cohorts used to fend off Lord Krishna & his cohorts in the same way. 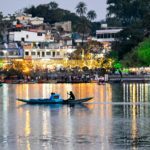 Udaipur is a place of rich heritage & culture because it was once the capital of the royal Rajput kingdom. The City Palace hosts a large celebration get-together & the royal family also hosts public celebrations. Musicians & dancers perform during the sacred bonfire. On the day of Dhulandi, the streets are packed with people in the mood of celebrating, smearing & playing with colors all over. 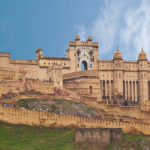 The capital city of India is known for its leisure time activities. Holi is celebrated with great ardor throughout the city. 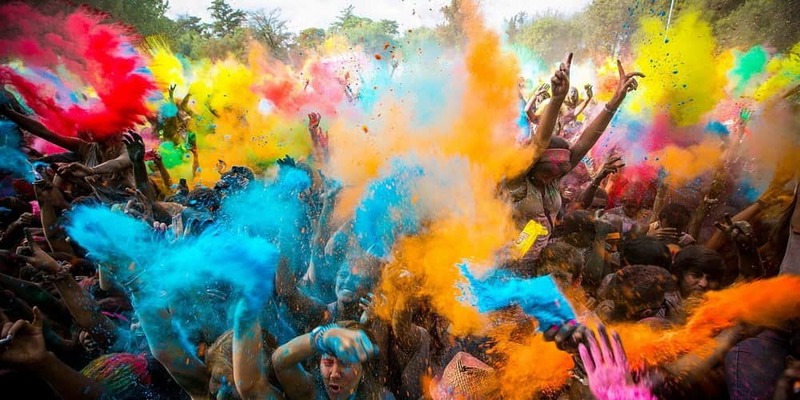 Public events are organized, with Holi Moo Festival being the best one. People from all over the world join this festival to enjoy the Festival of Colors. Music, Live DJs & other stage activities are organized along with delicious food. Overall, the atmosphere is colorful & cheerful on both days of the festival. 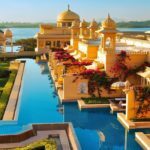 Pink City, the capital of Rajasthan is one of the best places to experience any Indian festival. This royal city will mesmerize you in all aspects like the hospitality of the people, architecture, shopping & everything you can imagine. 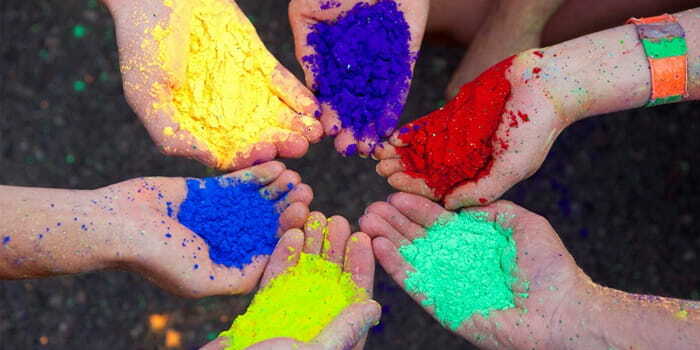 Public events like folk dances, get-togethers & parties with color smearing celebration. The whole city is indulged in leisure activities on Holi & the atmosphere instantly turns enthusiastic. Hampi in Karnataka is the only place in South India where Holi is celebrated with full cheerfulness. Other places in the South are mostly restricted to any grand celebrations & only perform temple rites & prayers. But at Hampi, you can experience a great celebration atmosphere on Holi. 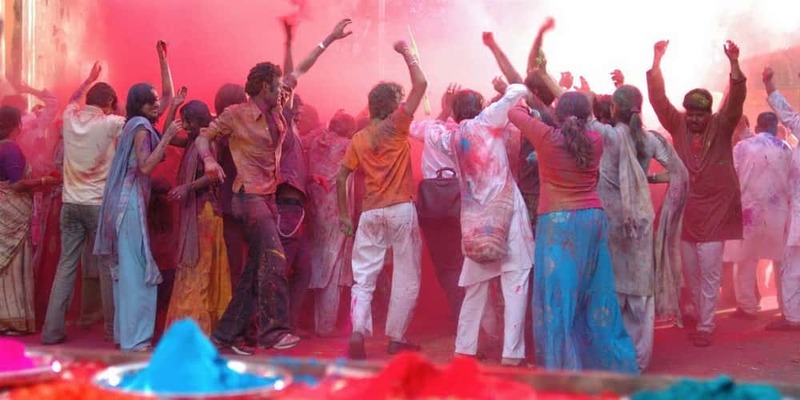 People can be seen playing Holi on the streets & wishing each other on the day. In the end, the crowd goes to the river to wash all the colors off. 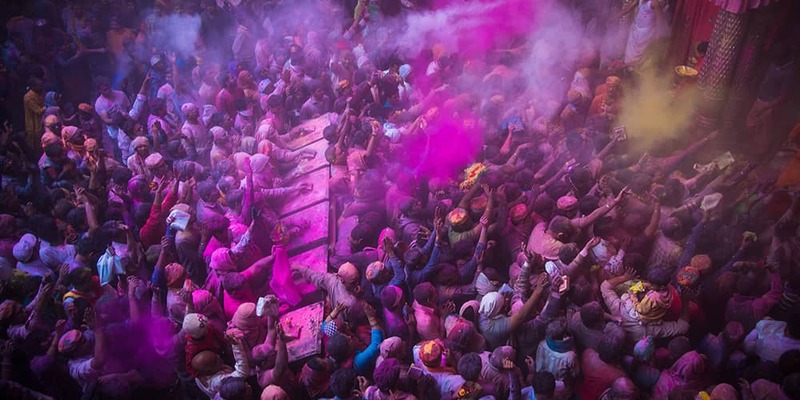 This was your guide on the grand festival Holi, which is celebrated with high energy in India. 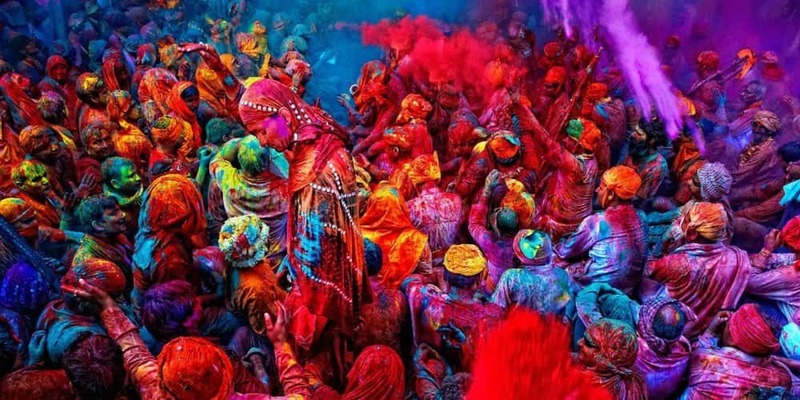 You can book a Holi Travel Package with us now & experience this awesome festivity.